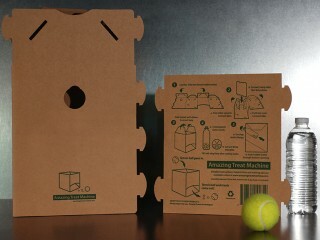 The Amazing Treat Machine® is an exciting and innovative dog toy. 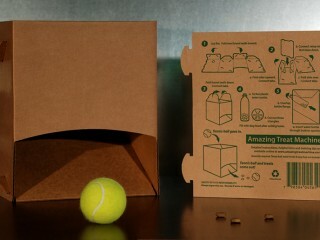 It automatically rewards your dog with treats when he or she drops a tennis ball inside. 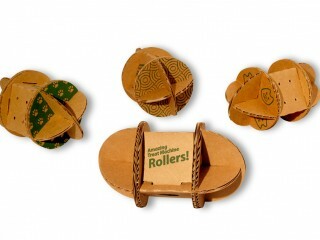 Designed and patented by Michael Newman and originally manufactured and marketed by Pomp Productions, the Amazing Treat Machine is made of high quality cardboard, which easily folds together without glue or tape. 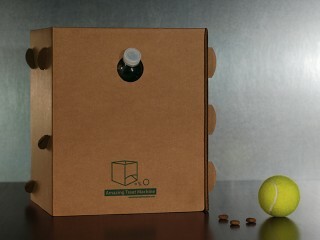 You supply a recycled plastic water bottle for the treat dispenser, a tennis ball, and the treats. 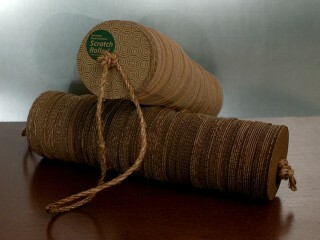 This environmentally friendly toy was the first in a line of unique cardboard pet products which included The Amazing Treat Machine Rollers™ and The Amazing Treat Machine Scratchers™. 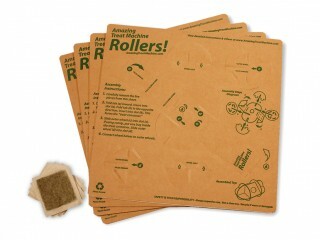 Amazing Treat Machine products were featured in magazines including Modern Dog and Dog Fancy as well as the Martha Stewart website. 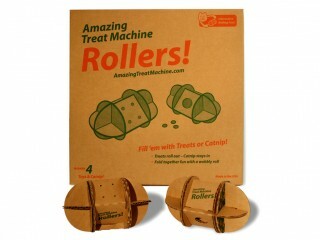 Sold around the world, The Amazing Treat Machine product line brought fun to pets and smiles their human companions. 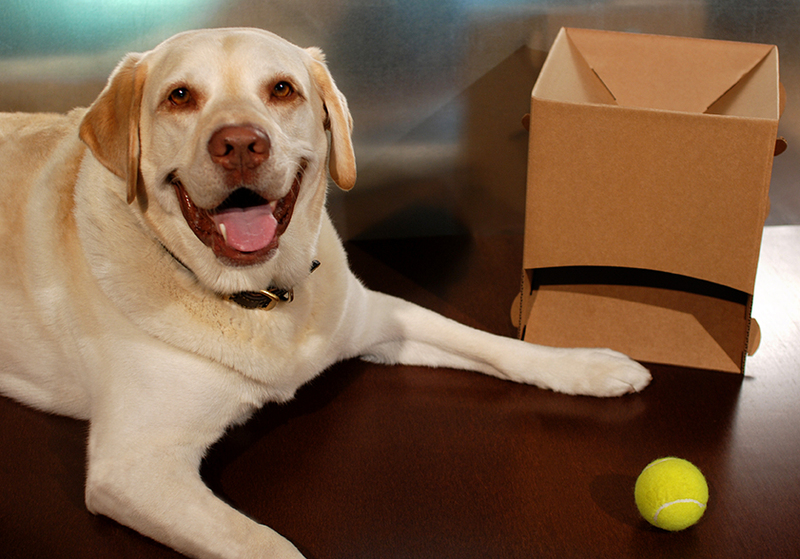 In 2013 Pomp Productions licensed The Amazing Treat Machine patent and trademark to a major pet product manufacturer. The toy is pending worldwide release in 2014.